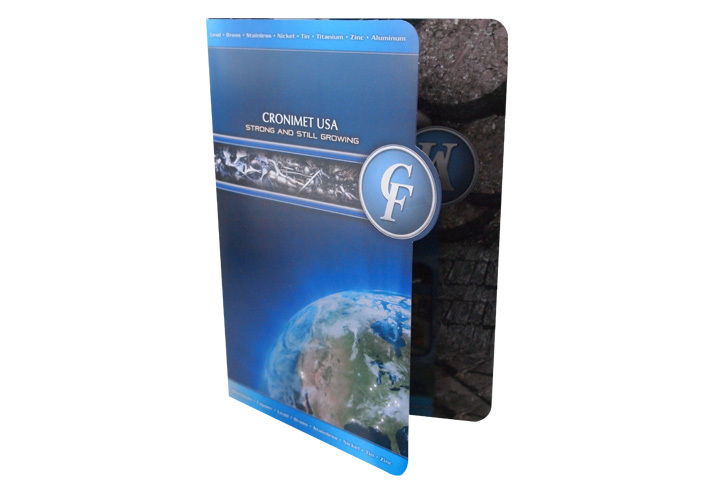 Collateral pieces including this corporate brochure reinforces a consistent brand message to current and prospective customers while the competition is scrapping for attention. 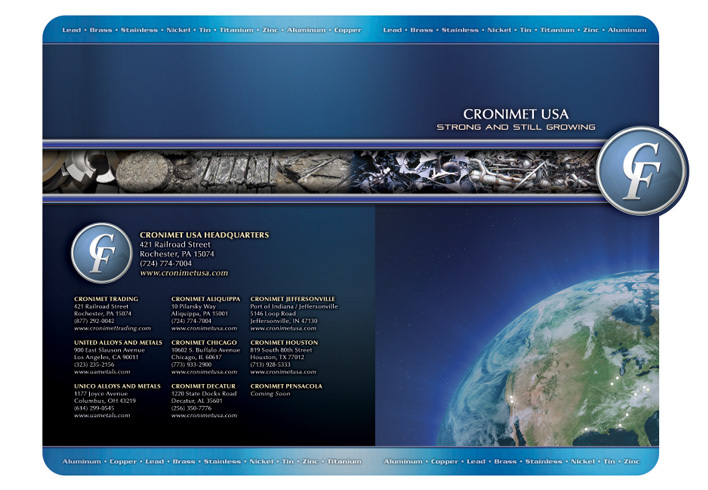 Being a leading recycler of ferrous and non-ferrous metals in the United States, Cronimet USA called on us to help position and strengthen their message in the metals recycling industry. A plan was set in place, which includes a larger presence in trade publications, on the Internet and at targeted trade shows.